Qatar has launched 2 for 1 business class sales from cities throughout Europe to many of the best destinations in Asia. If you’re looking to travel solo-dolo, prices will be slightly higher. 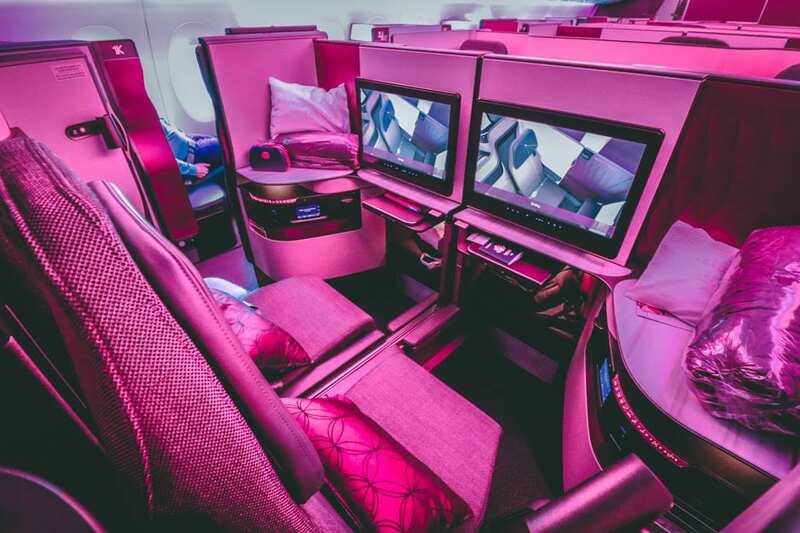 In many cases, it can be worth using points or a great flight deal to get to any of these starting cities, since savings will likely still be huge, and basically the Qatar Business Class experience is unrivaled. These deals must be booked by February 18th and seats at the best price are limited on each flight. The deals are for air travel from March 1st to December 11th 2019. If you want dates outside of that range, no discount for you. Booking should be easy. Dates will vary for each city pair, but as long as you stick to the date ranges above you’ll find something. Simply click any link above to take you directly to Qatar Airways. Many of these deals will be similarly priced with just one person. Be sure to use Qatar’s 7 or 15 day flexible calendar to see which dates offer the lowest prices without too much hassle. Here’s a list of current cities which are offering Qsuites, the very best Qatar business class seat. Also good deal from JFK to BKK on Qatar. I’ve checked dates in March and April for $2632 RT. Qsuites 3 out of 4 legs, of course on the A350-1000 but also on QR830 (777) departing Doha to BKK. This deal is not available on the website, the only deal they have is 5% off….